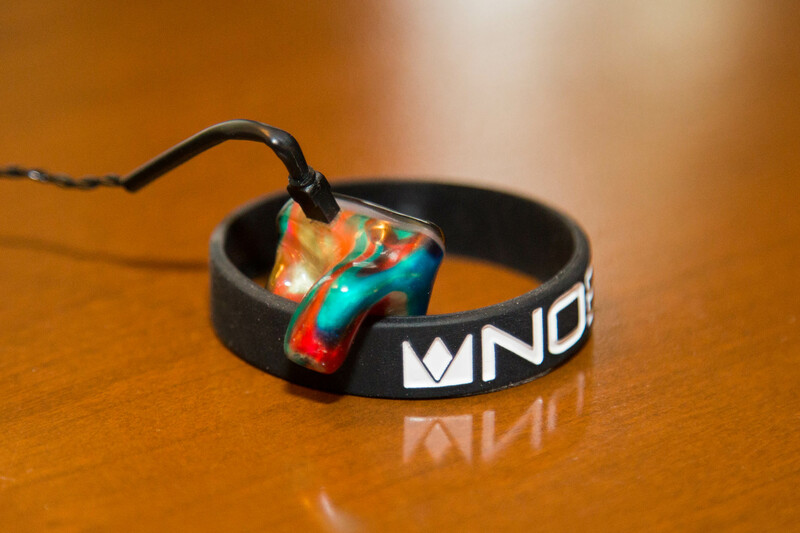 For years, Noble Audio has been considered one of the top producers of in ear monitors, both custom and universal, for the audiophile in all of us. 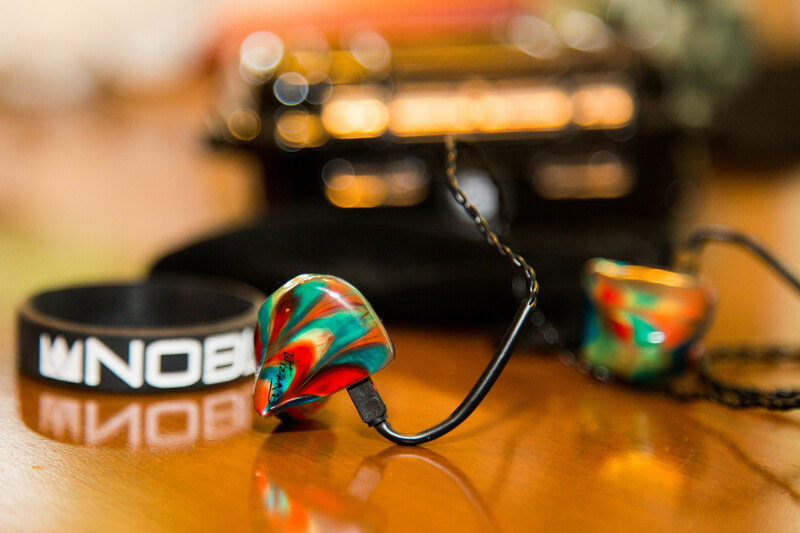 Noble’s breakout success came in October of 2013 when they released the K10. The K10 quickly reached icon status, becoming one of the most successful and well-loved monitors the market has ever seen. However, 2013 was quite a while ago, and with the release of Kaiser Encore, Noble believes that it has come up with the right upgrades to create a worthy successor to the previous “Kaiser” of the market. So, is this a bunch of hype without a lot to show? Did Noble already reach their sonic peak with K10? Can Kaiser Encore offer enough of an improved experience that it’s worth your time and money? That is the question I seek to answer, so I invite you to keep reading as we dive in. 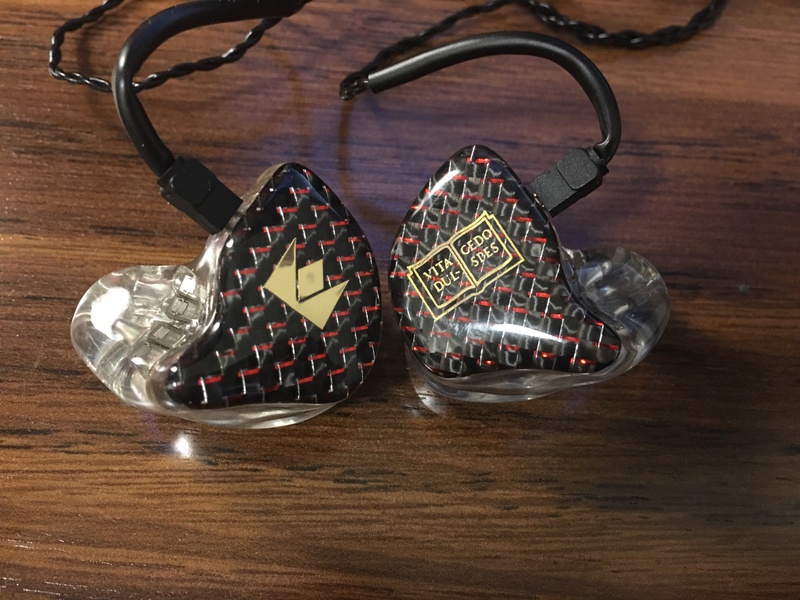 Fittingly, Kaiser Encore maintains the same driver count as K10, a whopping 10 proprietary balanced armature drivers per ear. As far as Noble’s own description of Kaiser Encore, they describe it quite modestly in comparison to the K10, showing it the respect it has earned and deserved in its over 3 years in flagship service. Noble describes Kaiser Encore as having the best of K10, but with an improved and refined midrange. This excited me, considering the midrange is by far my favorite part of the soundstage. Trust me, I’m picky on my mids, and I liked them on K10, so if this is really going to be a selling point, I’ll be the first to pick it out. I’m excited to dive in and see how it sounds. Prices of Kaiser Encore start at $1850 for a universal model, $2099 for a custom, and go up from there with the addition of various design elements. This positions Kaiser Encore right in the middle of the flagship market in terms of pricing, a very fair price point in my eyes. As far as impressions go, the customer is responsible for seeing a local audiologist, having ear impressions made, and sending them off to Noble’s offices in California. Noble does have an online monitor designer where the customer can pick from the standard options: faceplate colors, designs, specialty materials, etc. However, Noble has 2 special design options: A Wizard design and a Prestige design. Personally, my monitor represents a Wizard design. As far as Wizard designs go, the customer can choose either a reprint of a Wizard design they already like for a lower cost, or they can have an original design created for them. 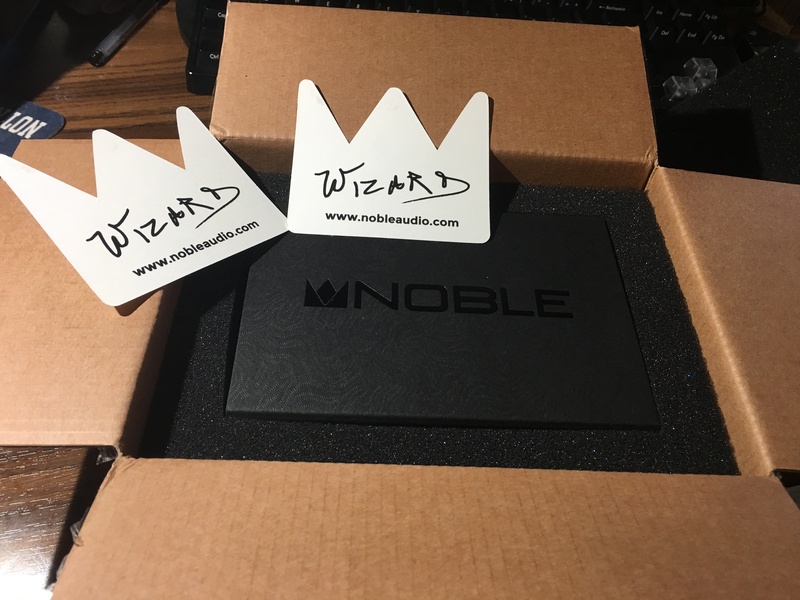 If a Wizard design is selected, the customer is asked some basic questions about what they might be looking for, but for the most part, creative control is handed over to “The Wizard,” and there is endless anticipation until the email from Noble providing professional pictures of the final product comes. A Prestige model is similar to a Wizard design, but the monitor is crafted out of some specialty material instead of the standard acrylic. Personally, my monitors took just over 8 weeks to build from the time my impressions were received. My monitors came packaged very securely in a luxurious presentation box. Noble does a good job of presenting easy to open outer cardboard in with some shredded material for decoration. It’s simple, yet elegant. Unboxing further, I found a Pelican 1010 case, inside of which were my monitors safely contained in a Noble pouch made out of a very soft, felt material. The case also contained a cleaning tool and my ownership information card. In the box, Noble also includes some bands for stacking devices and some Noble stickers. It was a very nice touch to have Noble send a Pelican 1010 case, since I find it to be the perfect size for IEMs, and it is tough, water resistant, and secure. Noble’s designs, especially the Prestige and Wizard variants, need absolutely no introduction. They are exceptional, unique, and best-in-class. Of all of the IEMs I have handled, I have yet to hold one where the beauty, craftsmanship, quality, and overall feel could either match, or even begin to surpass Noble. Let’s start with the cosmetic side of things. 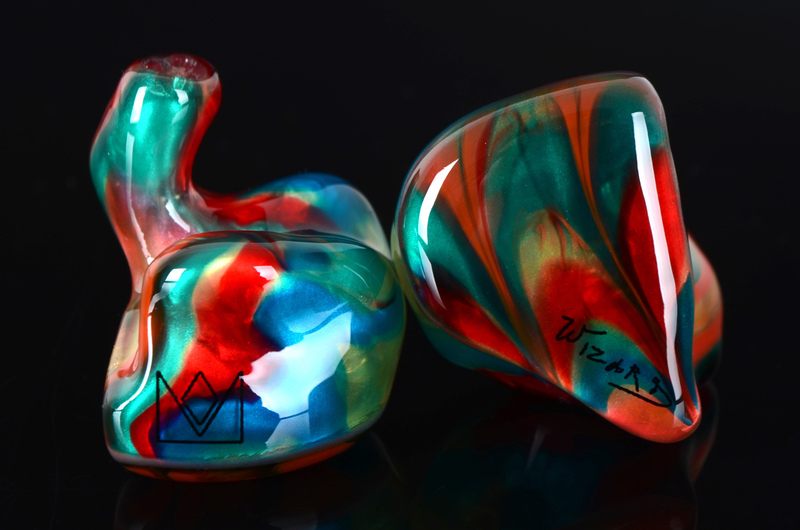 Noble’s “Wizard” and “Prestige” designs are arguably their most recognizable and well-known feature, and that is for good reason. Getting a CIEM is a very personal process, and the way these designs are done with Noble is amazing. Simply give some details on what you’re looking for, and let the magic happen. Around 8 weeks later, the email with the final pictures come, and everything you hoped for becomes a reality. For me, I like giving vague descriptions of what I might like out of a monitor and allowing Noble to create something with their own twist versus being tied down to ultra specific requests. So far, this has proven to be an excellent plan, as every monitor I have received has been gorgeous. With this one, I basically just asked for something colorful and out of the box. 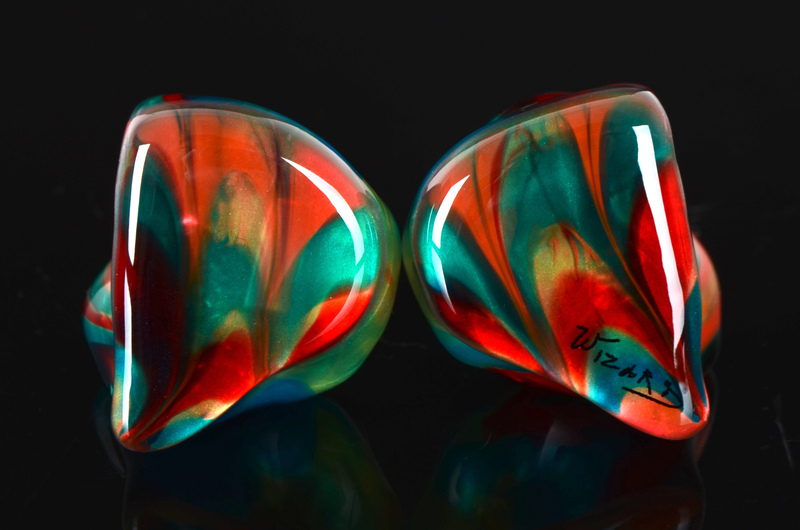 I wanted something that would pop, turn heads, and make someone wonder what the heck was in my ears. Ironically, exactly what I didn’t want a year ago. Well, that’s exactly what Noble gave me! Let’s take a look at the pictures. I mean, wow! I was pretty happy when I saw these pictures, because the first thing I thought was that I had never seen anything like it! I love how all of the colors interact with each other, it kind of has a “trippy” look. All of the colors are reflective and a heavy translucency, so not only do the colors play with the light, but you can peek into the drivers if the lighting is just in the right spot. This is a perfect example of how Noble can do so much with so little. I had no idea what I wanted, but they put together a beautiful end product that checked every vague box I threw on paper. Noble knows how to do designs like nobody else. 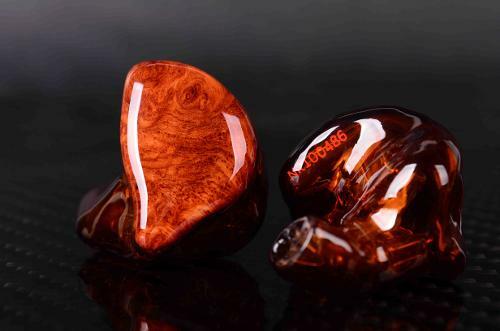 What's more, they back up a beautiful design with exceptional physical craftsmanship and toughness, so the owner of any Noble CIEM feels safe and secure in its daily, harsh use. 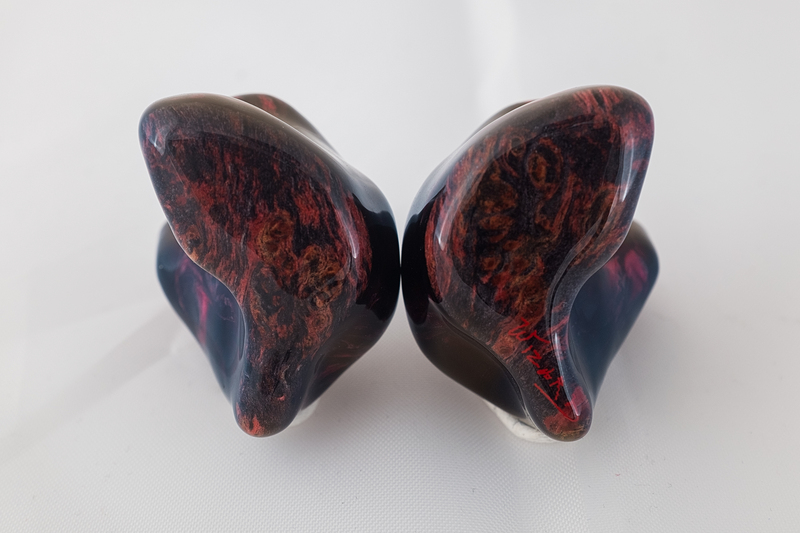 Generally speaking, there are two sides to the comfort of a CIEM. Firstly, how well a company can accurately craft the monitor to a set of impressions, and second, the overall weight and feel in ear of an otherwise properly crafted monitor. As far as production accuracy, this is my 3rd monitor from Noble on a 2nd set of impressions, and all of my monitors have been dead-on with their craftsmanship, and I’ve never had any complaints with even the smallest millimeter on any part of the monitor. 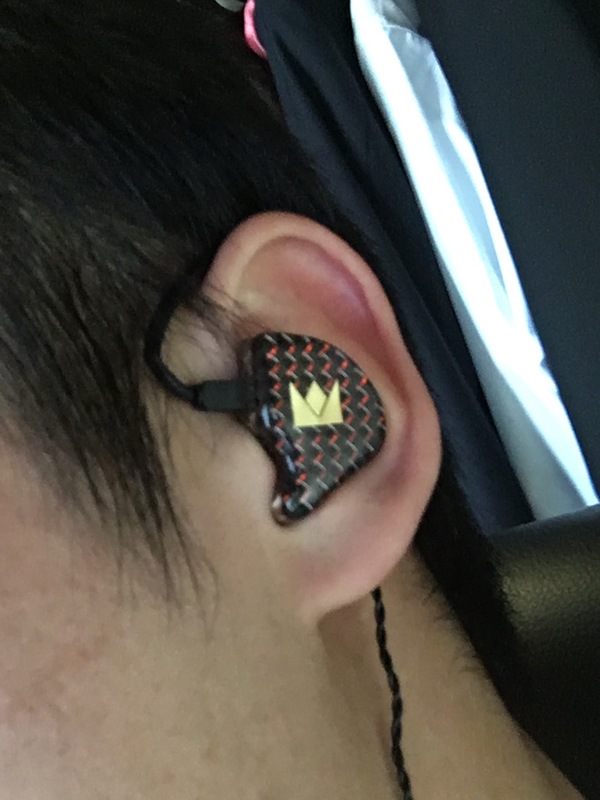 As far as the actual feel in ear, I’m quite happy with Kaiser Encore. Overall, things are well weighted and pretty comfortable for long periods of time. I don’t think there is anything Noble could really do differently to improve comfort. With that said, I should note that because of the nature of a monitor with 10 drivers in it, it’s big and it’s hefty. Hours of use will be no problem, but they can start to fatigue over time just like a big pair of cans. Not nearly as quickly, but it does happen. Furthermore, because of the size needed to house all of the drivers, they do protrude a bit from the side of the ear, so something like laying on your side in bed could present a problem. Again, I’m not complaining, because the 10 workhorses inside are what drive the incredible experience, but it does come with a bit of a trade off in overall size. One of my favorite aspects of Noble’s design is that they go further into the ear canal than most monitors. This may seem like a negative, but with proper ear impressions, this shouldn’t cause any discomfort. This is good because it really helps me feel like I have a secure fit with such a large monitor. For example, my Layla is big and heavy with a large driver count just like Kaiser Encore, and I have never had a problem with them falling out, but I don’t get the same sense of security as I do with my Noble monitors when they form a firm, reassuring lock with my ear canal. Noble also does a very good job with their cables. It is tough, comfortable, and lightweight. After lots of heavy use, I’ve never had any issues or needed to replace a Noble cable, the microphonics are very low, and the memory wire is the perfect balance of being soft and pliable while maintaining its shape without user intervention. The vast majority of my listening on Kaiser Encore was on either a Chord Mojo connected to Tidal HiFi on a Macbook Pro, or lossless, sometimes 24 bit FLAC files through my QP1R. One test that I always do with a monitor is to see how it sounds out of my phone and other non-audiophile sources. I’m happy to report that Kaiser Encore sounds excellent out of whatever source it's connected to, and while a better source will always result in better sound, Kaiser Encore does just fine with Spotify and an iPhone. Kaiser Encore is the most refined monitor Noble has ever produced. My largest acclaim of K10 was that it was versatile. No matter how one describes his or her listening patterns, K10 was a perfect fit for the job. Kaiser Encore takes this to a whole new level, and the balance of all sounds falls into the perfect harmony of not too much, not too little, but just right. So theoretically, that just sounds like any balanced monitor. Under that description, what sets this apart from something like a UERR? Well, for my taste, those monitors are notoriously boring, and while I’d describe Kaiser Encore as balanced, it is musical–not boring. Kaiser Encore improves on its predecessor's strongest aspect, taking absolutely any song, no matter its characteristics, and making it sound perfect. Generally speaking, Noble has impressed me with their implementation of the low end. In K10, the power and presence of the bass was impressive, and though I liked it, it may have been a bit much for some. Katana had good bass presence, though much less than K10. Kaiser Encore falls in the middle of these two, but leaning much heavier toward K10. Kaiser Encore’s bass sounds like the bass from K10, but cleaned up a little bit to make it shine even better. Sticking with a theme I get from Noble’s bass, the sound is much more of a feeling and less of an audible sound, replicating the sound a true subwoofer makes, and coming closer to what bass should sound like. Deep rumbles that hide in the background of songs are present and intense, really creating a crisp and accurate dynamic that sounds wonderful. Especially when comparing the two, I find that at times K10 might have taken things just a bit too aggressively, and the slight refinements of the bass on Kaiser Encore are absolutely wonderful. The best word I could use to describe the bass is precise. The bass isn’t overly present, nor overly refined, the bass is right. More than anything, I feel like the bass on Kaiser Encore replicates what an artist intends in terms of creating a crisp and powerful feeling that completes a track, not so much of a loud boom that’s meant for mere fun. Because of this tuning, the bass of Kaiser Encore is positioned to be very plastic in its adaptation to different music styles. For example, the bass in Drake’s “Passionfruit” is deep and satisfying, but the beats that are meant to complete, not dominate, electronic songs like Kygo’s “Stole the Show” are not overbearing. I always preface this section to saying that the midrange is by far my favorite section of a sound signature, and I’m a very tough critic. With that said, the midrange on Kaiser Encore is elegant, clear, and beautiful. It was the first thing I noticed when I put the monitors in my ears, and it was night and day. Simply, and I don’t make these claims lightly, it is the best I have heard on any monitor. Vocals, whether male or female, sing with clarity and detail, so present in the front of the soundstage, never being hidden in the slightest by any details from the low end or high end. It’s all too common that a warm monitor has such strong capability from the midrange, but it is covered in a layer of mud from an overbearing low end. The fact that Noble has created a unique bass profile that is more like that of a traditional subwoofer means that no matter how strong the bass is, its presence is in feeling, not so much an audible sound that can overpower something else, so the midrange never falls subject to bass-induced muddiness. One of the reasons I love music and hifi audio is music’s ability to evoke a memory or emotion, and for me, that emotion is typically evoked by an artist’s voice. Naturally, this is why midrange is so important to me. “The Scientist” by Coldplay is a perfect example in which one can hear the deep raspiness in Chris Martin’s voice as he sings about a painful subject, and it is those tiny details that allow a listener to connect. On another end of the spectrum, the anger and passion in Kendrick Lamar’s voice is ever present in “Humble.” The midrange on Kaiser Encore is so sweet, so strong, and so well-executed. Let me say this again so that I am perfectly clear: Kaiser Encore has the best midrange I have ever heard on a monitor. I have not heard everything, but I have had the opportunity to own and hear many company’s flagships, and Kaiser Encore is like nothing else. The mids are absolutely unbelievable, marked by sound that is so sweet, luscious, rich, and perfect. They are something that needs to be heard. It has been a while since I’ve spent extended time with the world’s best cans on desktop rigs, but I don’t recall being blown away by something the way Kaiser Encore did for me. Folks, I’m not exaggerating here. Noble describes the midrange on Kaiser Encore as “retooled” compared to K10. 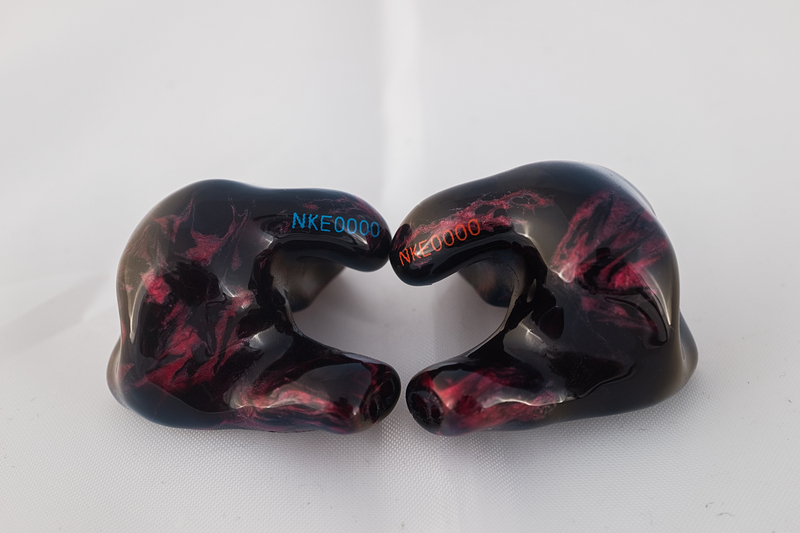 With all do respect to Noble, I find retooled to be an extreme understatement, and they have every right to brag about the incredible upgrades to the midrange Kaiser Encore brings over K10. Noble’s competitors aren’t far behind in their presentation of lows and highs, but truthfully, this midrange puts everyone else to bed. I had high expectations for Kaiser Encore in the treble. I had no complaints about K10’s highs, but it was probably the weakest link of a very strong monitor. However, the treble on Katana was its strongest feature, so I was expecting Noble to have taken some of their new talents in the treble from the Katana and incorporate it into Kaiser Encore. Much to my delight, this is exactly what I hear. On most contemporary music, the highs are generally hidden in the background, but even with this condition, Kaiser Encore highlights deep extension of drums, strings, and shimmery details of any piece of music. However, where this monitor can really shine is in music with an emphasis on the high end. Generally speaking, I’m not much of a fan of classical or jazz music, but when I’m testing a monitor, these are my go tos for their combination of unmolested treble and exceptional recording. Let me remind you, these styles of music do next to nothing for me, but listening to them out of Kaiser Encore really put me in the scene, and I got so much unexpected enjoyment out of it. Testing some new Tidal Masters, I stumbled upon some recordings of Dizzy Gillespie, and I was blown away by the detail in the cymbals, drums, piano, and of course, trumpet. Every single sound extends with such detail, it is an experience that truly has to be heard to be believed. Listening to this album put me right in some old jazz club covered in red velvet, a place I have never even been to have a connecting memory, just from the sound. Especially in jazz where many sounds come into action with a certain pop, Kaiser Encore uses its shimmery highs in combination with its powerful low end to create a truly realistic experience. Whether the music in question is contemporary, classical, jazz, rock, or anything, Kaiser Encore complements its high notes with class, shimmer, and style. Furthermore, the highs do not sound very rolled off to me, but they don’t need to be, because they’ve been tuned to be so sharp and smooth that they always sound just right. When it comes to creating a beautiful, immersive, head-filling sound, I am not sure if anyone does it better than Noble. The nature of their signature is a sound that is so musical, sound stage is always one of the strongest aspects. For those unfamiliar with Noble’s exceptional abilities, the soundstage is simply as wide as it gets. Open, airy, pleasurable, and full-bodied. 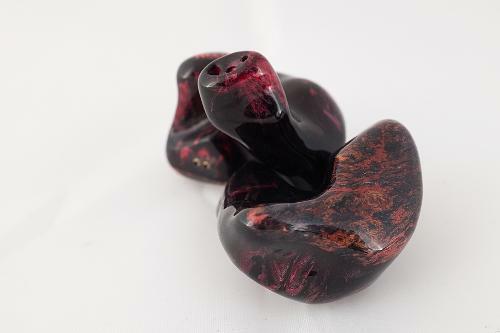 Of course, as you move up the spectrum in IEMs, they start to sound less like IEMs and more like open back headphones. Kaiser Encore does it oh so well, creating an experience with such volume and depth that I have only experienced from top-tier full sized cans. To get this sort of openness from a IEM that can be discreetly brought anywhere, and plugged into a phone if desired, shows tremendous value and versatility. Complementing the wide soundstage is tremendous clarity. Of course, every bit of Kaiser Encore in isolation is extremely crisp and clear, as is obvious from my individual descriptions, but that is frequently the case with every monitor of any merit. Where many fall apart is where everything is put together in a complex piece of music. Often, the lows create a layer of mud over the mids, and the whole thing rolls off the highs so that they are very distant. As I alluded to either, the unique presence and feel rather than overbearing sound from the low end prevents any mud from forming around the mids, and the crispy, sharp highs are so well-executed that they are just as clear in a full piece of music than they are in isolation. I was very curious to see how Kaiser Encore would stand up with Katana since they sit as co-flagships in Noble’s current lineup. I loved K10’s sound signature, but I loved the sound quality of Katana more than K10, so I was thinking that Kaiser Encore would bridge the signature I loved from K10 with the quality I loved from Katana. After my listening, I’ve concluded this is a pretty accurate description of what Noble has done. For me, I’d take Kaiser Encore every day over Katana, but that’s not to say that it’s objectively better in every situation. Katana still has more range and headroom in the high end than Kaiser Encore, so for those who like more acoustic or classical music, Katana is likely the better choice. However, Kaiser Encore’s sound signature makes it so incredibly versatile, and while it may not be the best at any specific thing (the highs on Katana for example), it is so great at making the whole package sound great. If you’re thinking to yourself that both sound like great options, and you’re losing sleep over which to pick, I’d say go Kaiser Encore, because you truly can’t go wrong. Frankly, you’d be hardpressed to be unhappy with Katana either, but Kaiser Encore is the safe bet in terms of sound signature for the masses. Kaiser Encore has the potential to give a real kick in the low end that Katana does not. Throughout the whole review I have alluded to how Kaiser Encore compares to K10, so I will keep this concise. K10 and Kaiser Encore go toe to toe with their bass profiles, but I do hear some refinements in Kaiser Encore’s bass. They are subtle, but when going back and forth on the same bass heavy track, things just seem more refined and crisp. Frankly, in the midrange, I hear a world of difference. 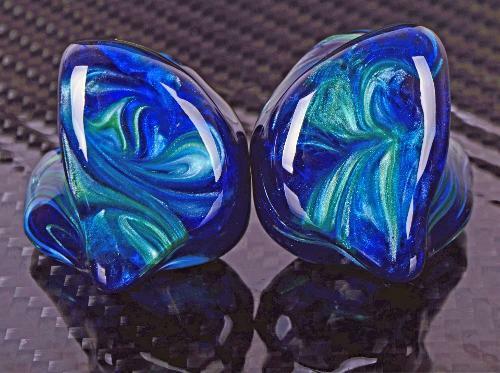 It is this difference in the midrange that I think really takes Kaiser Encore to a whole new level and makes it a true contender for the top spot in the CIEM market. I had no complaints when I heard K10 in the midrange, but hearing them back and forth is absolutely no comparison. Kaiser Encore has opened up so much clarity, detail, and definition in the midrange that K10 didn’t provide, and it’s the reason I love it so much. Things are not so extreme on the high end, but it is very clear that there have been improvements and refinements on Kaiser Encore, and I hear a lot of the details I loved from Katana in the high end. With just the changes on the lows and the highs, I wouldn’t be so sure if upgrading from K10 to Kaiser Encore would be worth it, but including the midrange, it is absolutely 100% a worthy upgrade. This is not a small difference that one must pick out with a careful ear and blind tests–this is a big deal. The mids on Kaiser Encore are incredible, and it is a different world than the one K10 plays in. Layla is objectively one of the best monitors ever made, and I’ve absolutely loved owning it. However, I have found that it never really delivered that musical magic that some other companies, like Noble, put so much effort into creating. This makes sense, since at the end of the day I believe Layla’s main priorities are for top-notch artists to have top-notch sound when they are performing, whereas Noble’s priorities are more focused on the audiophile. In the past, I have always felt comfortable saying that I preferred Noble’s monitors over the Layla, but that Layla was still objectively “better.” Now, I’m not so sure I can use that same comment. Even with the bass turned up all the way, Layla just can’t portray strong bass presence like Kaiser Encore does. Honestly, nothing I’ve ever heard does. Furthermore, on those songs where I expect a lot of bass, when compared to Kaiser Encore, Layla leaves me some to be desired on both the lows and the mids. Kaiser Encore just has more versatility, clarity, and musicality. In the high end I would say that both are pretty much equal. So, that leaves Kaiser Encore as a clear winner for me in this comparison, and for a lot less money. Overall, Kaiser Encore definitely has some features that Harmony 8.2 struggle to compete with. The low end is probably where they are the most equal, as Harmony 8.2 really does pack a powerful punch down low. Harmony 8.2 doesn’t quite capture that “feeling” I alluded to earlier like Kaiser Encore can, but there’s a lot of really enjoyable, strong bass. In the midrange, Harmony 8.2 just can’t compete with the clarity, depth, and detail that Kaiser Encore has accomplished. In the highs, things become a bit closer to equality, and Harmony 8.2 does a great job, but again, I think Kaiser Encore can edge it out in extension and shimmer, and that’s appropriate considering its higher cost. Furthermore, Kaiser Encore has a bit more versatility as Harmony 8.2 can pack a bit too much down low for some. The sound signature of Harmony 8.2 is more V-Shaped, and the sound signature of Kaiser Encore is more neutral. Kaiser Encore definitely has a more balanced sound signature than UE18, which is quite warm and bass-heavy. The bass is the most comparable part between the two, though I find Kaiser Encore still beats it in performance in having that deep, head-shaking rumble that is very hard for anything else to replicate. In the midrange, it’s night and day again, Kaiser Encore’s exceptional midrange puts it in another class, and UE18 cannot compete with it. The highs on UE18 are a bit rolled off, and it doesn’t claim to have the best highs in the world. Accordingly, the great high end on Kaiser Encore beats it, though UE18 definitely holds its own. Overall the sound signatures are not too terribly different, and UE18 sounds more like K10 than the newer Kaiser Encore. However, Kaiser Encore is the clear winner. It has been a while since I have spent a long time with the Audeze LCD series. However, I still feel I can give some helpful info here. I thought that K10 had a very similar sound to that of the Audeze LCD series, and its sound signature kind of fell in the middle of LCD-3 and LCD-X. 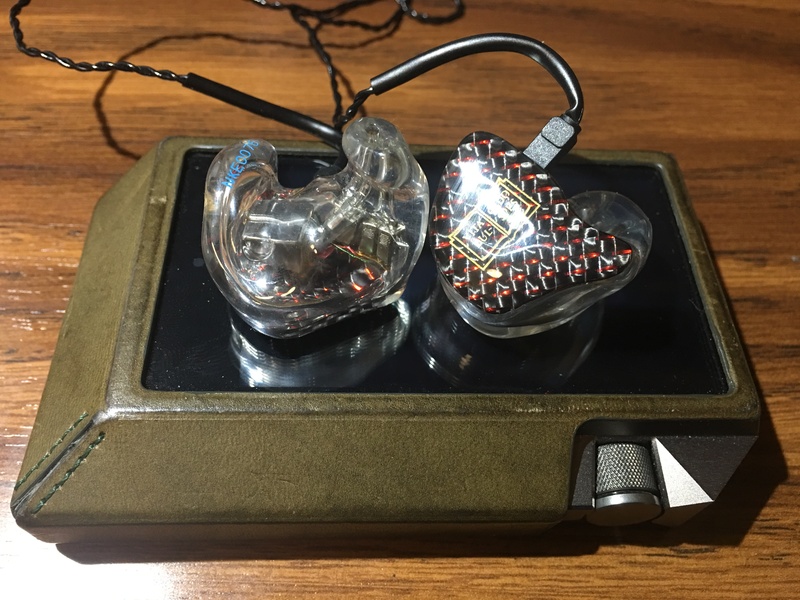 That said, if you are exactly how I was when I owned my LCD-3, very happy with the sound performance, but not so happy with the inconvenience and physical heft of full-size cans, I think Kaiser Encore is a fantastic bridge into the IEM world that will scratch every itch your LCDs did. Shure SE846’s are fantastic monitors, and are often acclaimed for being something that’s a good option for everyone. Granted, they have the benefit of being user adjustable, but even with the standard filters, they are relatively balanced and inoffensive. To me, Kaiser Encore is a very logical step up from SE846, and owners will not only be happy with the versatile sound signature, but also with the significant upgrade Kaiser Encore brings in sonic quality. So, let’s wrap things up. I have really sung the praises of Kaiser Encore, and I think that is fitting. Truly, when I look back and try to find a negative, I can’t. Sure, things always have the potential to get better in overall clarity, detail, tonality, etc, no matter how much money you’re willing to spend. However, when I listen to Kaiser Encore, I can’t find myself wishing for anything. I loved K10, but there was clear room for improvement. With Kaiser Encore, that path is not so clear. If Noble reached out to me today and said, “We will do whatever you want to this monitor. You tell us what you want and we will make it happen,” I wouldn’t change a thing, and that has not been the case on anything else I’ve ever heard. Sure, these thoughts are heavily related to sound signature, not objective performance, so it may just be luck of the draw that your preferences lineup with mine. However, another beauty of Kaiser Encore, holding true to its predecessor’s strongest trait, is its versatility. In the way that the eyes of Mona Lisa are known to follow its viewer wherever they may be, the sound signature of Kaiser Encore follows the music it's playing to sound just right. The bass knows when to boom and it knows when to hide; the mids shine all day long, just like they should; the highs are bright, crisp, shimmery, and smooth so that they never sound harsh. Doesn’t that sound like the perfect package on paper? Believe me, it does in practice, too. Overall, I wholeheartedly recommend Kaiser Encore. This is an endgame CIEM by all accounts, and it checks every box. Unlike most monitors, the answer to the question “is Kaiser Encore right for me?” is yes. I don’t need to ask any other questions or dig into your music preferences, the answer is simply yes. Sure, Katana may be better for some in Noble’s flagship market, but if anything I described down low sounds appealing to you, I’d go for Kaiser Encore. Comparing Kaiser Encore to its competitors, I just don’t see how anything near this price range can touch it. Again, I haven’t heard some of the latest offerings from other companies, but Kaiser Encore does things so well that I can’t imagine there’s a clear winner from anyone else, and I think Kaiser Encore is the clear winner in almost every matchup you throw at it. Kaiser Encore is engineering perfected; the result is a balanced, versatile, rich sound that enthralls its owner in musical bliss, and is sure to stand the test of time. Wilderbeast, ttt123, Tommy C and 2 others like this. Pros - Crystal clear sound, beautiful build, dedicated and responsive team. Cons - May cost an arm and leg or both arms and legs; build time is quite long; may cause lost of interest in other IEMs; poorly mastered tracks really glare at you. Disclaimer: I purchased these CIEMs from the Noble website at the price of 1850$, before the markup. I do not have any interest conflicts or relations with any audio parties, and am writing this review as an individual enthusiast. This review is to share my early impressions of these CIEMs with the Head-Fi community. All listening is done with the Astell&Kern AK240 as depicted. Ever since I started this journey, I have been dreaming about the CIEMs that I would get once I felt like the time was right. And boy, did these CIEMs make my dreams come true. Fabulous sound that I have ran out of superlatives to describe. Did I mention fabulous sound? Expensive. But definitely not exclusive to Noble. People might make mental health institution recommendations after learning about your purchase. Poorly mastered tracks become glaringly obvious. I put these headphones into motion around mid January, where I sent my impressions to Noble. The Noble CIEM team started building my earphones, and I received the package in mid April. However, the left ear was too large and I had to send them back for a slight remodel. I received the remodeled earphones in early May. Throughout this experience, the Noble team was fast to respond to my inquiries. I would like to thank Sunny, Nancy, Brannan and Mr. Wizard for their care of their customer. I am impressed by the Noble team. The accessories were minimal for a purchase of this price tag; a wax cleaner, a cleaning cloth, a hard pelican case that is definitely too big to carry around but apt for shipping, a soft pouch case, two Noble bands that are too tight to wear around your wrists and two Noble stickers. Oh, you also get a shiny owner's card for all your troubles! The build of the headphones are phenomenal. These things are built like a truck; I definitely don't see them breaking anytime soon. The only thing I have to criticize are the cables; they are normal cables, and again, some might expect more at this price tag. I expect to find some nice aftermarket cables after trying them out. After the remodel, the fit is exquisite. These things really hug my ears. The ear pieces are a bit larger than I expected, though they will not protrude out of your ear canals. I requested the red and black carbon fiber, with a personal design on one side and the Noble sign on the other. The product is stunning and looks better than I thought it would, though it would probably be even more beautiful had I chosen the Wizard design. (400$ mark up for that option!) 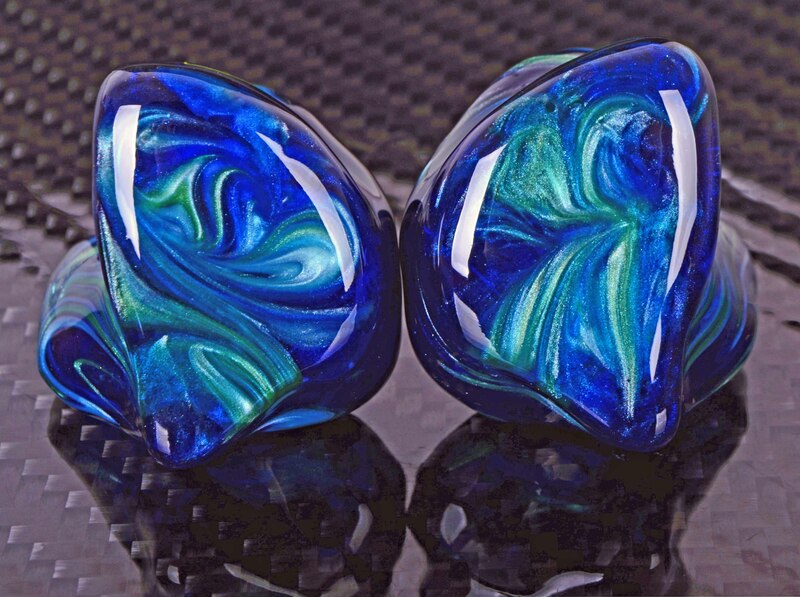 I would also like to note that there is no extra charge for choosing fiber or other designs, unlike some other CIEM manufactures. I like this, as the compound cost of artwork CAN creep up on you if you aren't careful with other companies. I love the sound. I think Noble have produced a landmark audio product; the tone is lush and beautiful, highs, mids and lows come through as they should; the sound is analytical yet enticing. The soundstage is huge, the details captivating, the depth blissful. I really think Noble have found the perfect balance between analytical and musical; put in any genre, and you find yourself thoroughly enjoying the music. 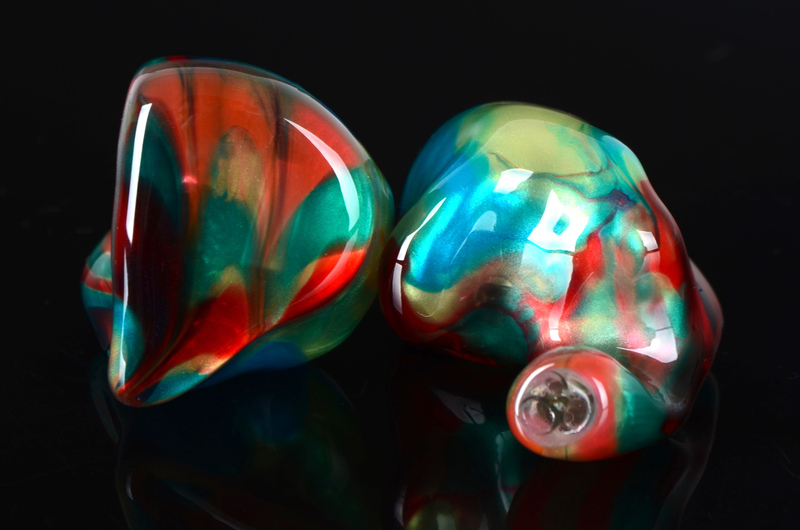 These earphones are responsive, tight and absolutely critical of your mastering quality. Bad tracks are glaringly obvious and can become hard to listen to, while you will find details you didn't know existed in masterfully recorded scores. The Noble flagship proves to be CIEMs that is one of the best in the industry. These CIEMs will make your love your music library even more than before. For me the Encore shares the same sound signature as its predecessor Noble Kaiser K-10. There are already 31- K-10 reviews on H.F. including mine. Read what is written about the K-10, then think @ 10% more and better; air/separation between instruments, larger sound stage, deeper bass, and clearer sounding over the entire sound range and Voilà you'll know what the Encore sounds like as much as possible if you have not listened to it or the K-10. Please note: This review is posted only so I could share my (very) early impressions, as I know many are eager to hear about the latest Noble (co-) flagship. I've had these beauties for less than a week. Perfect Darkness by Fink is a long-time favorite of mine. I love it with the K10 because those drums go so damn looow and I love it with the Katana because it renders the guitars so crisp. K10 does acoustic guitars very nicely too, the Katana just does it a bit better. The Katana can go low for the drums as well, but not with as much authority as the K10. With the Encore, I get the best of both worlds, absolutely phenomenal. I know I’ve mentioned Hans Zimmer’s soundtrack for “The Dark Knight” rises before, but it’s just so damn good. My favorite track from it is probably “Imagine The Fire” - strings, wood & brass winds and kettle drums. Ooooh those kettle drums! If you love classical music, big ol’ symphonies with lots of strings, the Katana is your best bet. If you love vintage recordings of classical, go for the K10. If you (like me) love action packed symphonic soundtracks… Encore is what you need. You get the resolution, the speed, the soundstage - and the low-end grunt. This is the IEM version of having your cake and eating it too. If you’re into electro and the Encore is within your budget, you can stop reading now and just buy them. Well… if the recordings are up to snuff, more on that in a bit. Not strictly electro, just a Brit with a piano and a computer, James Blake’s version of Limit To Your love is just a downright hoot with the Encore. I don’t have much truck with FR graphs, but I sure would like to see one that compares the K10 and the Encore. I swear, the Encore goes lower than the K10 or maybe the bass has just been given an extra dusting of Wizard magic. Whatever the case, I love it. Next up on my playlist was London Grammar’s version of Nightcall. For this particular track, the K10 mops the floor with the competition. I absolutely adore their cover version of this song, but the recording and/or mastering leaves a bit to be desired and the K10 elegantly smooths over the flaws while keeping the details intact whereas both Katana & Encore reveal everything. Same goes for Muse’s awesome live album from Rome: The Wonder Twins Katana & Encore serve up every riff, every slap on the tambourine and every hit on the drums just like the K10 does, but also politely point out that the mastering is pretty damn flat. Don’t get me wrong; it’s not that bad recordings are unlistenable on the new units, the K10 is just a bit kinder to those less-than-optimal albums. Anyway, K10, Katana or Encore, listening to Resistance on any one of them still makes me want to ride out and fight bravely for… something. IDK, better mastering maybe? Impressive! Makes me want to hear them so bad! good review, seems like it's not gonna be as warm as the k10.